If you’re trying to build your company’s online reputation, it can be tempting to take shortcuts and try to find a quick fix. This is particularly true for businesses with not-so-positive reviews and one-star ratings. After all, a stream of fresh positive reviews can quickly bury negative feedback and clear out blemishes in search results, right? This explains why there’s an increasing market for businesses looking to “buy Google reviews”: fake reviews, that is, posted under a random name and Google user who may or may not even be a real person, much less a real customer. So yes. 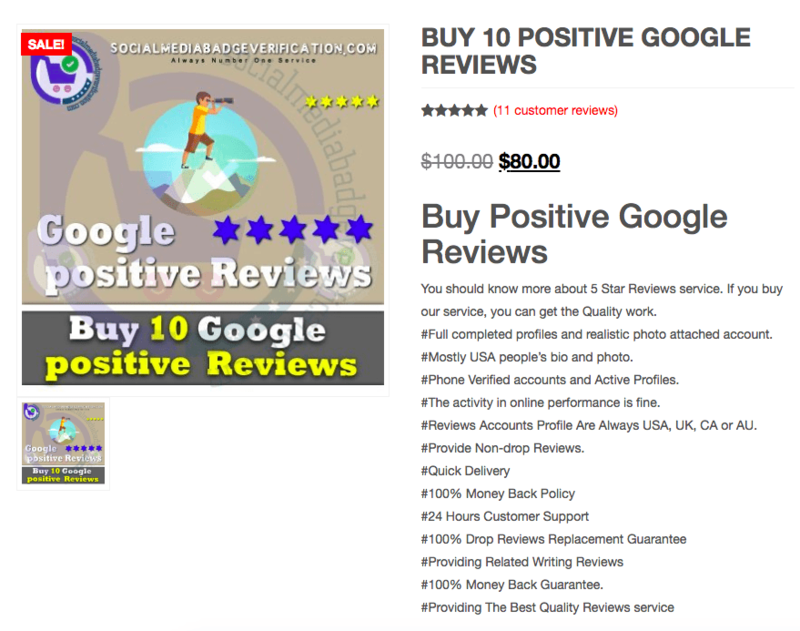 Today, your business can easily buy a Google review with great ratings and positive feedback to the tune of 10 bucks a pop. If you’re buying fake Google reviews, you have to first consider the risks and consequences of doing so. While it sounds like a great, cost-effective solution for propelling your business to the top of relevant search results, buying Google reviews will almost certainly do your business more harm than good in the long run. It’s not a very good idea at all. Unlike a review site like Yelp, which slaps consumer alerts on businesses that buy or fake their reviews, Google can actually take down the listing of the violating business. So the risk you run of buying fake Google reviews is that, instead of achieving maximum visibility, you get zero. The FTC will go after you. In the last several years, regulators have been cracking down on fake online reviews. The Federal Trade Commission, for example, executed “Operation Clean Turf” in which they caught and slapped hefty penalties on companies buying fake reviews as well as companies writing or creating fake reviews (as part of their “reputation enhancement services” offering). Don’t think that consumers won’t be able to tell. No matter what “Google review sellers” say, you’re probably going to end up receiving a few reviews that are so obviously fake that they don’t even succeed in adding appeal to your reputation. Today’s consumers are savvy, and they have multiple ways to detect online review frauds. Your business doesn’t benefit from fake feedback. Needless to say, if you buy Google reviews, your business won’t be able to leverage valuable (and authentic) customer feedback, without which you cannot really foster improvements. You’ll also likely lose sight of real customer experience issues or problems that need to be addressed. Download the free Review Handout generator. Harness the power of email for your review generation campaigns. Create a link for customers to write reviews on Google. On that last bullet point: the easiest, most effective way to get more (and better) Google reviews is to consistently deliver excellent customer experiences and create “wow” moments with customers. Companies that buy Google reviews are unlikely to have developed the ability to do just that. Sadly, they’re also destroying the credibility that other businesses have worked so hard to build. To learn more about optimizing a Google listing, read our complete guide to Google My Business.